Download Copy of Press Release – click here. 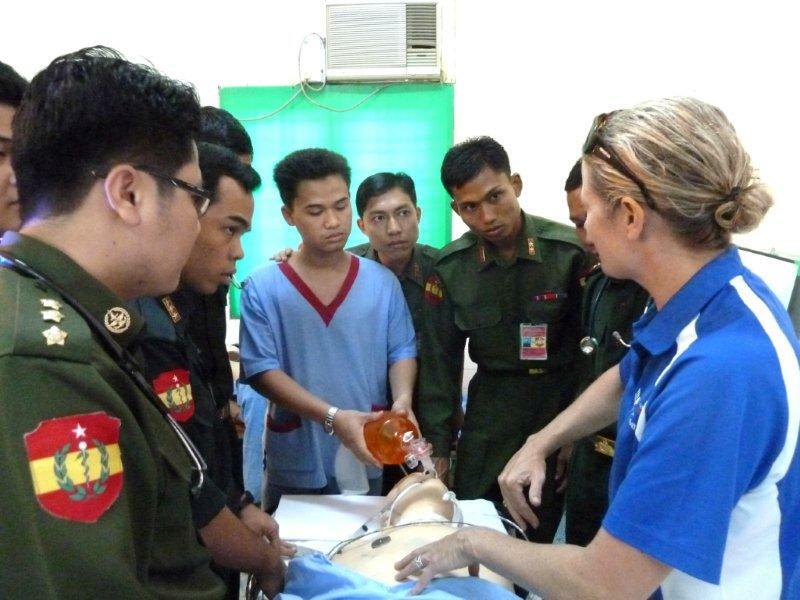 While lugging a life-size medical mannequin 8,000km to train nurses in Myanmar mightn’t be everyone’s idea of a holiday, Australian Nurse Emma Smith says the men, women’s and children’s whose lives will be transformed, make it all worthwhile. 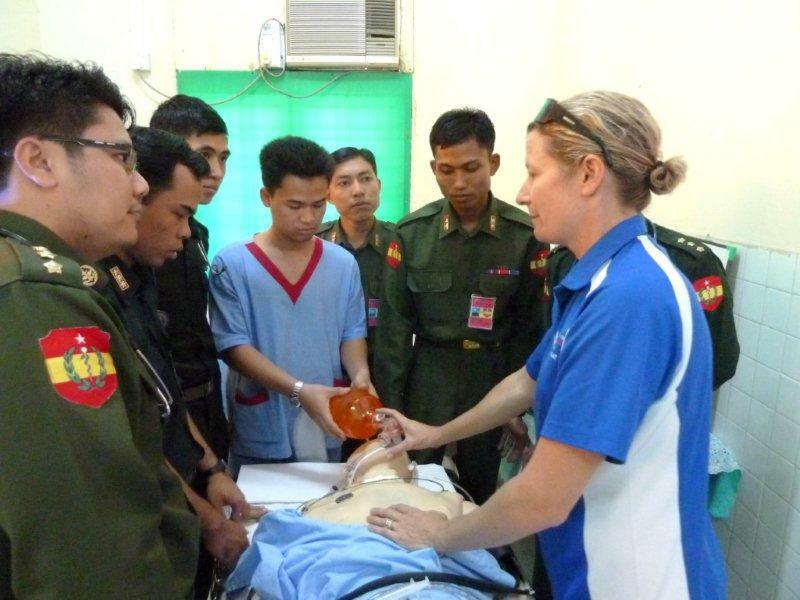 Emma and a 40 strong volunteer medical, nursing and allied health team from around Australia depart on Saturday to supervise and train Burmese doctors and nurses undertaking life-saving cardiac procedures and post-operative care during a 7 day visit. Patients will be as young as 2 years old with potentially fatal heart conditions and congenital (birth) defects including holes in the heart. A clinical nurse educator at Sydney Adventist Hospital with over 20 years’ experience, Emma says the mannequin makes skills-sharing much more effective – critical to maximise survival after lifesaving cardiac surgeries. Emma will run training sessions to maximise local nurses’ self-sufficiency after the team leaves. “If I can improve the way Burmese nurses treat and care for their patients, I can help them save hundreds of lives each year” she said. The mother-of-two is a 5 year veteran volunteer with Sydney Adventist Hospital’s humanitarian aid organisation, Open Heart International (OHI). OHI has provided free life-saving cardiac surgery to hundreds of men, women and children in Myanmar during 17 trips since 2002 after a former Sydney Adventist Hospital doctor identified the tragic inequity that surgery easily available in Australia was not available in Myanmar. The team will be working side by side with Burmese doctors and nursing staff, helping develop and increase the local teams’ skills. The volunteers are from Hospitals around Australia and include 8 cardiologists, 3 surgeons, 3 anaesthetists, 4 sonographers, 13 nurses, 2 physiotherapists, 2 engineers, 2 educators an intensive care specialist and a pathologist. They will operate at The Defence Services, Mandalay, Maymyo, Yangon, and Yankin Children’s, Hospitals. The mannequin will be left in Myanmar to enable the trained local nurses to train others. 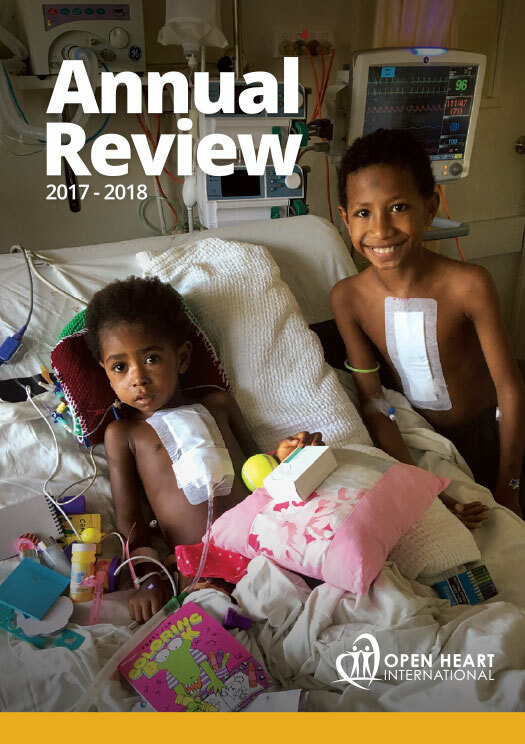 Open Heart International began in 1986 when a nurse visiting Tonga was appalled that Australia’s neighbours were dying from conditions readily and easily treated in Australia. Participants donate their time, skills and expertise and contribute financially towards trip expenses. 4,000 surgeries have been undertaken in 13 countries by 1,500 volunteers. The project in Myanmar has been supported by the Rotary Club of Mosman. Volunteer members of the team are available for comment.